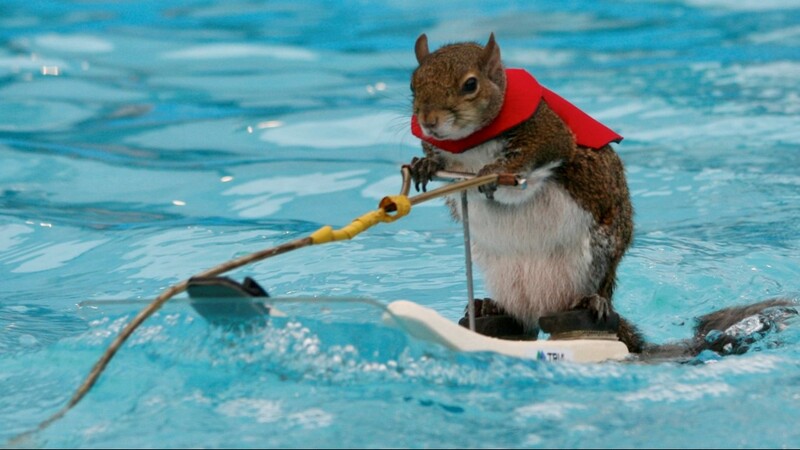 After 39 years, Lou Ann Best closes down the traveling water-skiing squirrel act started by her late husband. 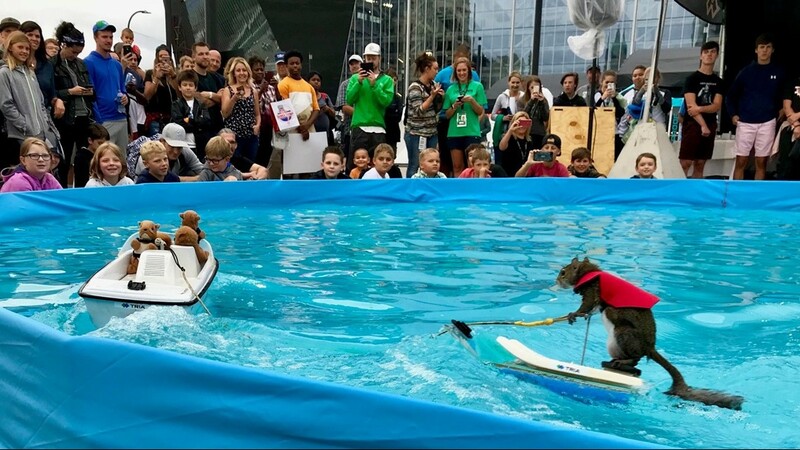 MINNEAPOLIS – After four decades circling the pool, Twiggy the water-skiing squirrel is bringing her act to a close. “We’ve moved into a 55-plus community,” says Lou Ann Best, who describes herself as Twiggy’s mom. 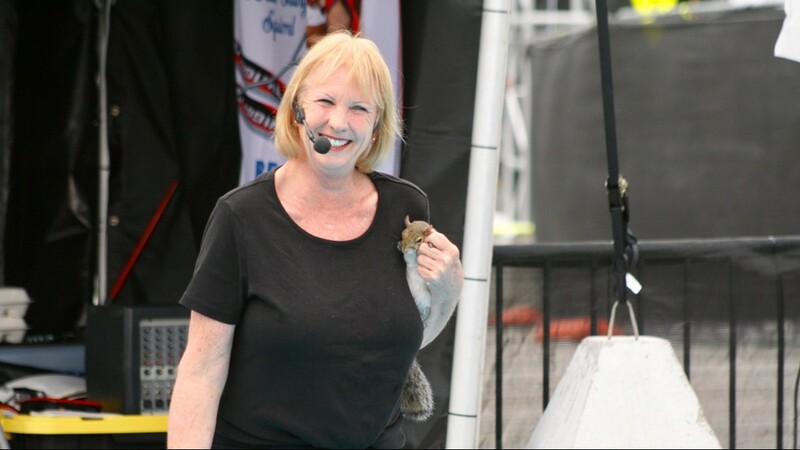 Lou Ann and Twiggy made their final public appearances on Sunday, performing at the X Games in Minneapolis. 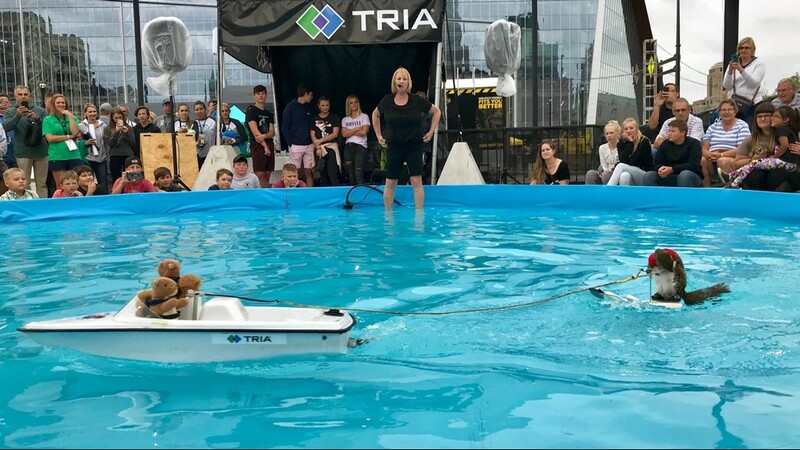 As always, children sat along the shallow pool, enthralled, as Twiggy stood upon a pair of skis pulled by a remote-controlled boat. During thousands of appearances, Lou Ann has served as master of ceremonies, dishing out both schtick and a poignant message about water safety. The mission is close to Lou Ann’s heart. In 1997, her husband Chuck, an auxiliary trooper with the Florida Highway Patrol, drowned when he jumped into a river to rescue his stepfather, who had fallen out of a boat. Chuck’s stepfather survived, but Lou Ann’s husband was unable to get back to the boat. “Drowning people don’t mean to hurt you, they just are panic-stricken, they’re going to fight you and do whatever they can to get above the water and get air,” Lou Ann said in a 2013 interview with KARE 11. Neither Chuck or his stepfather was wearing a life jacket, though they were stored on the boat, as the law required. “How many of you all wear a life jacket when you’re on a boat?” Lou Ann always quizzed the children who gathered around Twiggy’s pool. 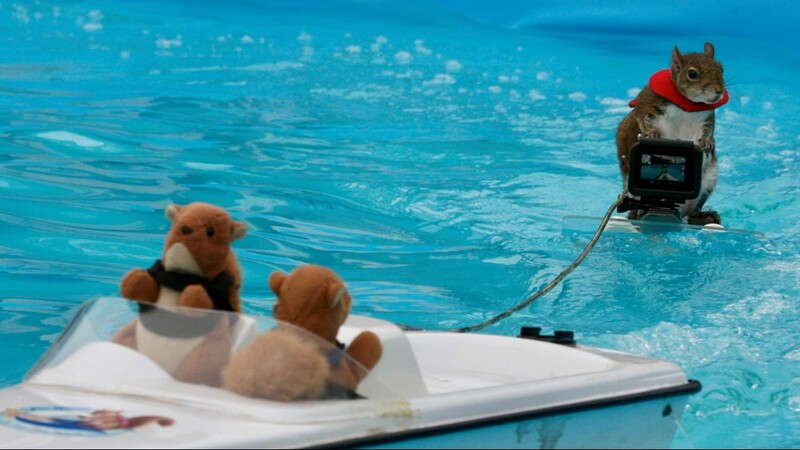 “Do you think Twiggy needs a life jacket?” she’d ask, as children nodded in unison. Lou Ann would then pull out a pint-sized life jacket she’d cut from a can cozy, which she would pull over Twiggy’s head. She wanted Twiggy to be to water safety what Smokey Bear is to fire prevention. “I believe with all my heart and soul that was Twiggy’s purpose. That’s the Lord that provided that,” she said. It was Lou Ann’s late husband who came up with the idea for a water-skiing squirrel after Chuck played nurse to a baby squirrel that had fallen out of a tree during a hurricane. “My husband, he was a nut,” she said. 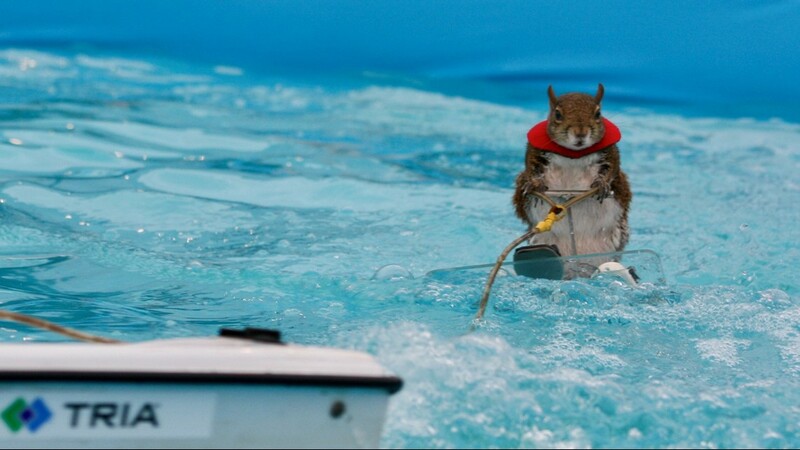 Chuck was the kind of nut who looked one day at his daughter’s toy power boat and then his squirrel - and wondered, what if? “He starts whittling skis out of Styrofoam then he started working with her in the water and she learned to ski,” Lou Ann said. 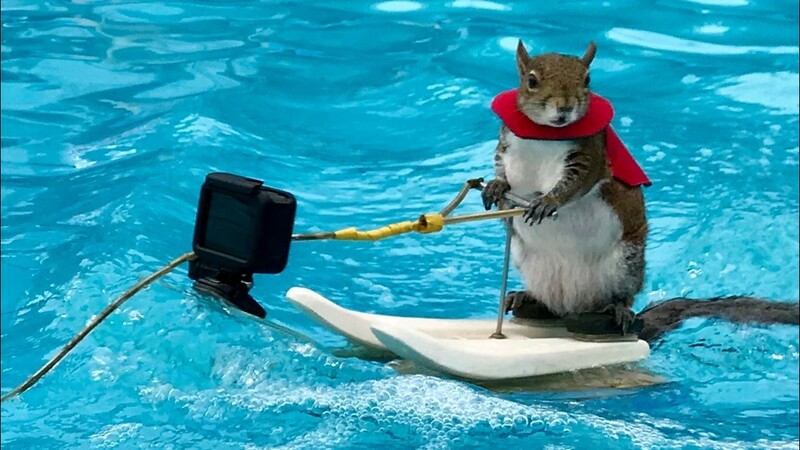 A local newspaper photographer snapped the first pictures of Chuck’s water-skiing squirrel. It wasn’t long before Twiggy was being seen in newspapers and on television around the world. The traveling show started not long after. Chuck had always been the showman. Grieving and too shy to step into the spotlight, Lou Ann shut down the Twiggy show, canceling all remaining performances. Then the phone started ringing with offers. It kept ringing, until Lou Ann decided she had to start the show up again – this time with the focus on water safety. 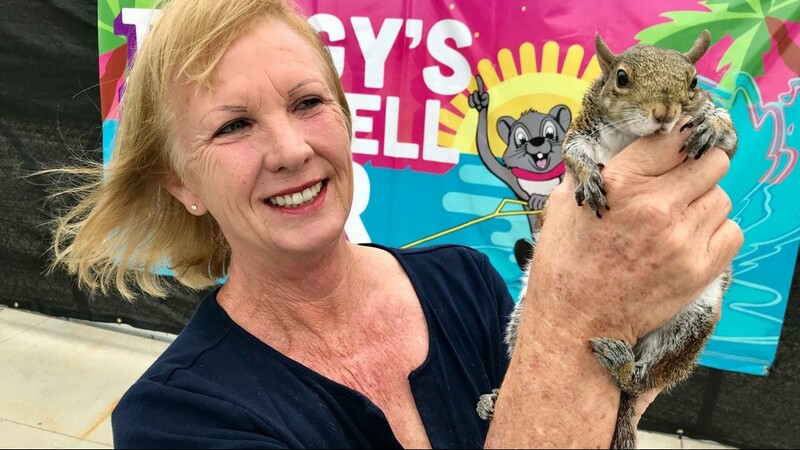 Twiggy provided for Lou Ann both a living and a way to bring some good from her husband’s death through her water safety lessons. The current Twiggy (there have been eight) is 10 years old and, according to Lou Ann, is as ready for retirement as she is. Word of the famous new arrivals quickly spread in their Florida retirement community. Minneapolis seemed like the perfect place to bring the curtain down. Twiggy’s first public appearance, 39 years ago, was also in Minneapolis at a convention of real estate agents. 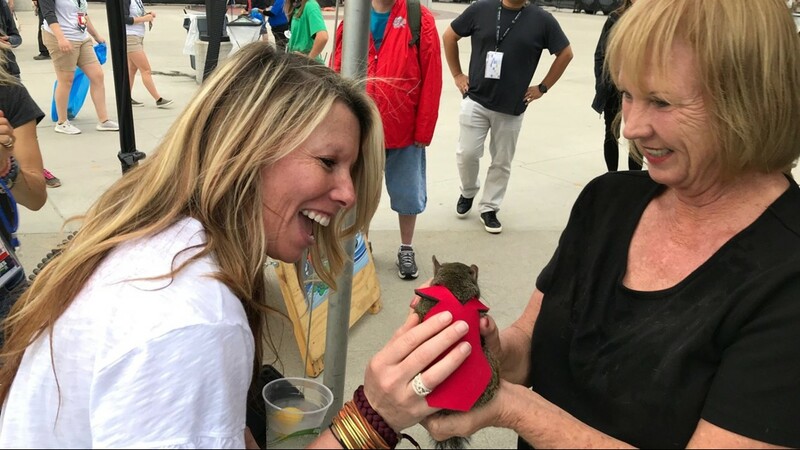 Lou Ann is in talks with an individual interested buying her company and training a new squirrel. She’s said she’ll only sell to someone committed to continuing the water safety message as part of the act.